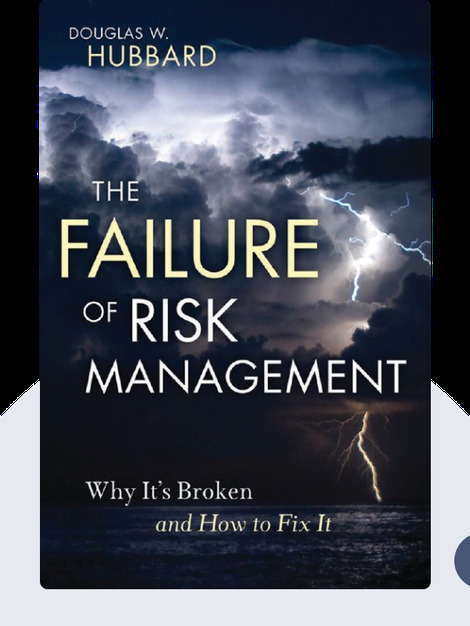 The Failure of Risk Management (2009) is a comprehensive guide to the history, methods and myths of risk management. These blinks explain why common methods for managing risk are flawed and how to fix them; they also offer tried and true alternatives for measuring and mitigating risk. Douglas W. Hubbard is the developer of a decision-analysis method known as Applied Information Economics. He is also the founder of Hubbard Decision Research and author of How to Measure Anything: Finding the Value of Intangibles in Business. 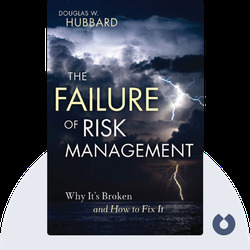 [Douglas W. Hubbard: The Failure of Risk Management] copyright , John Wiley & Sons [Inc. or Ltd. as applicable] Used by permission of John Wiley & Sons [Inc. or Ltd. as applicable] and shall not be made available to any unauthorized third parties.